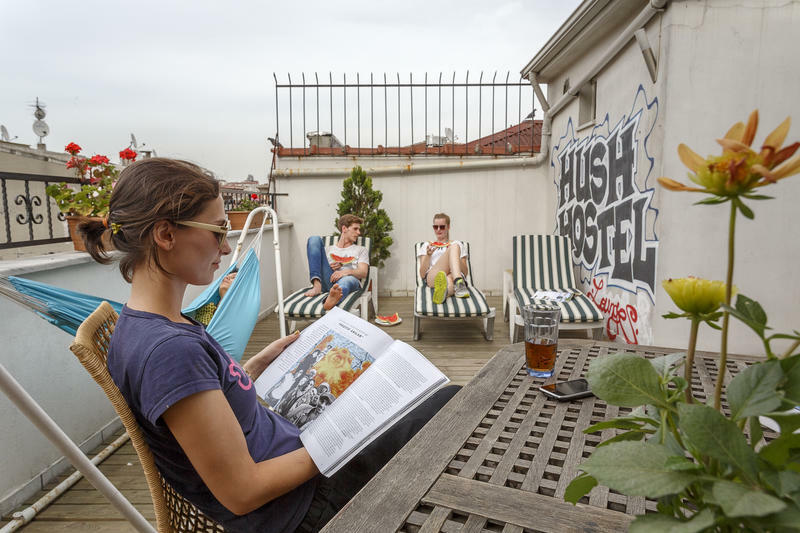 Hush Hostel is an ideal place for travelers seeking the true spirit of Istanbul. We offer you fun, clean and affordable accommodations in a newly renovated historical and stylish building in the heart of Kadikoy, a vibrant entertainment district full of indoor-outdoor bars, live music venues, shops, restaurants and cafes. A great place for backpackers! Discover Kadikoy District and meet the locals who color and enliven the real Istanbul. Feel the pulse of the city as you explore urban streets, hidden courtyards, local life and history. Located on the Asian Side of the city, Hush is in close proximity to a transportation hub that services the whole city, including the ferry which takes you to the European Side and historical sightseeing just in 20 minutes. The ferry over to Sultanahmet or Beyoglu is cheap, easy, and lends beautiful views of the city. The common area of the hostel consists of a guest kitchen and a cozy lounge area where guests can watch tv/dvds, play musical instruments. 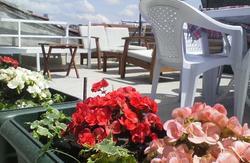 The hostel also boasts a spacious garden area for full relaxation and yoga classes, a terrace with sunloungers and a panoramic view of the city. With its high ceilings and new furnishings, your experience at the Hush Hostel will be refreshingly different. 3 minutes walking distance to transportation options, i.e. fast ferry, boat, bus and minibus (7days/24hours between Kadikoy-Taksim). 5 minutes to Fenerbahe Sukru Saracoglu Stadium. 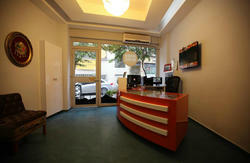 If there is something you need, ask our staff who know the city well and is available to asist anything you might need. Kadikoy is a large cosmopolitan district on the Anatolian side of Istanbul, Turkey, on the shore of Sea of Marmara. Since the very early ages, Kadikoy has had a great scene for entertainment. 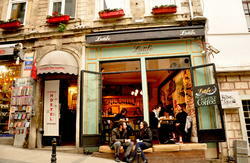 Its narrow streets are adorned with varieties of cafes, bars and restaurants. With its graceful minarets, fountains, tombs, churches, Turkish Baths, pavilions, quays, monuments and parks; Kadikoy is where history meets the current civilization. From the Kadikoy Pier walk towards Haydarpasa Railway Station along seaside on Rihtim Caddesi(Avenue). The sea should be on your left hand side. After a few minutes of walk, you will see a red building (Deniz Hotel) on the right hand side across the road. This building is at the corner of Iskele Street. Turn right into Iskele Street. Walk for a minute, we are on the right hand side of the street. Local Bus E-10 brings to Kadiky Center (Pier). Taxi or Havaş Shuttle from the airport to Bakirky Fast Ferry Terminal. Access to Kadiky by fast ferry. Another option is the Metro from the Atatrk Airport to Sirkeci or Karaky. Access from Sirkeci and Karaky to Kadiky by boat. Kadiky Pier is walking distance from our hostel. Walk to Eminn Pier from Sirkeci Station. This is a two minute walk. There are frequent scheduled boats from Eminn Pier to Kadiky Pier.